The ability to be sensitive to the existing architecture of your space is key when designing its interior. This apartment in Queen's Park has wonderfully high ceilings, so our interior compliments and maximises this sense of light and space. 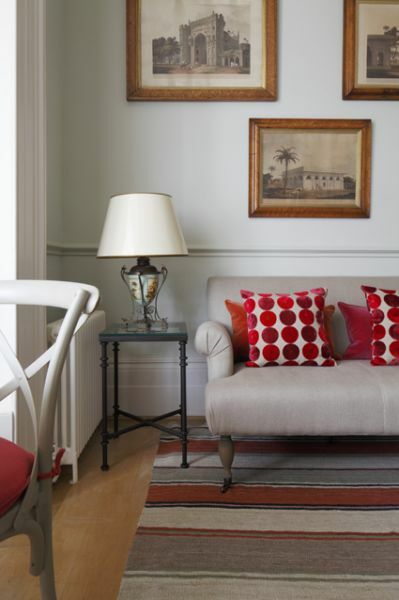 The colour palate centred around greys and varying tones of pink, both earthy pinks and brighter hues. 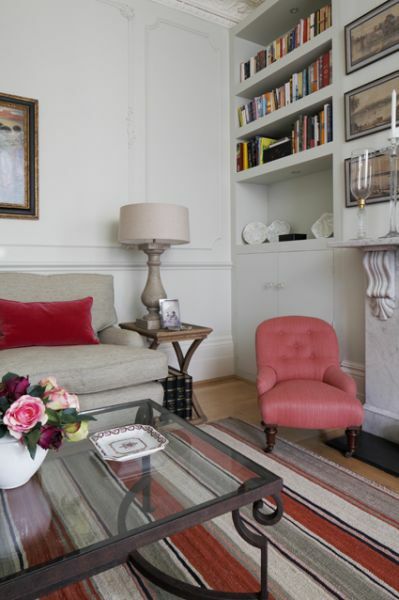 Splashes of colour were incorporated through the use of patterned and bright cushions and the gorgeous pink chairs in the living room. We mixed both antique and modern design elements to create a comfortable but characterful living space which is ideal for entertaining guests. At Devas Designs we’re always excited about taking on interesting and unique projects, especially new styles and spaces such as this Spada Yacht. It was a challenge, but we rose to it and the whole project was completed in less than three months. Our client needed an interior that was in keeping with the yacht’s design but that would also be an environment suitable for a family with young children. The yacht was redecorated using plain and printed linens that established a sense of elegance and style. We also introduced hand-blocked fabrics for the cushions to bring in dashes of colour and pattern while keeping a sense of simplicity. The master cabin followed a nautical theme with the addition of blue and white Toile de Jouy patterned cushions. The dining cabin is equally elegant and crisp, decorated using linen and cotton fabrics in grey and blue-green hues. The silver and nickel wall lights and lamps contribute to the stylish look of the interior. With Spring in the air we wanted to share an insider peak into Devas Designs' head office in Chelsea. Our upstairs drawing room is centred around a colour palette of pastel blues, greens and greys … the perfect colours for a Springtime mood board. 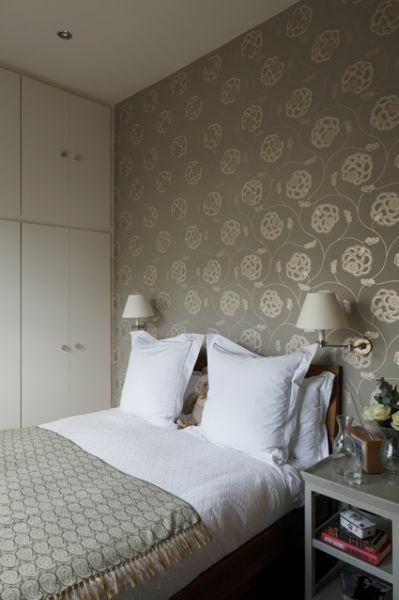 For this room’s colour scheme we took inspiration from this unusually pale coloured Ziegler carpet. Its pastel tones with hints of earthy red and green instantly caught our eye. With these colours in mind we chose an eclectic selection of cushions that each have their own character whilst following these same colours. 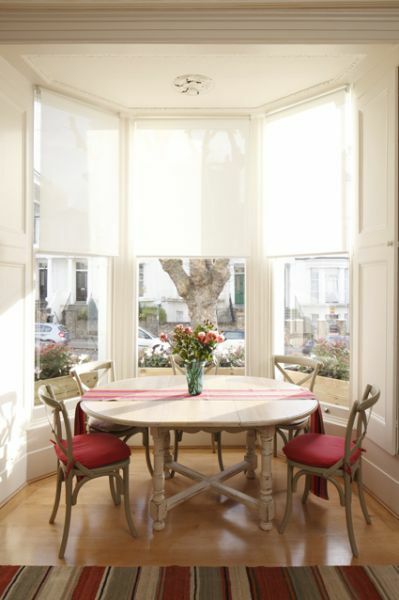 The two terrace windows provide a beautiful, fresh light throughout the day, which perfectly harmonises with the pastel tones. We kept the curtains simple, choosing white linen to maximise the light. The walls were painted with an off-white so that the light softly reflected back onto itself. We love incorporating antique pieces into modern interiors, especially when they tie in with the colour palette. This green decorated jug is an antique Staffordshire piece. The sea shelled table top was initially a single frame artwork which was later turned into this stunning table. The room also features several paintings including works by Tim Woolcock and Edward Seago.